I want to share my current favorite needle case. I think it is absolutely priceless. Namaste Build Your Own Binder is amazing. I have three different interchangeable sets, countless single circular needles, and an entire set of double pointed needles. Previous to this binder, they could be found in drawers, under beds, in the car, an interchangeable cord could be found attached to Lego men even. Every time I needed a 24" cord I couldn't find it or the correct needle to attach it to. While at the Fiber Festival of New England I found this game changer. After going on a needle hunt I was pleasantly surprised to find I have enough needles for a lifetime, and now they are so prettily displayed in their own binder insert organized by size and brand. 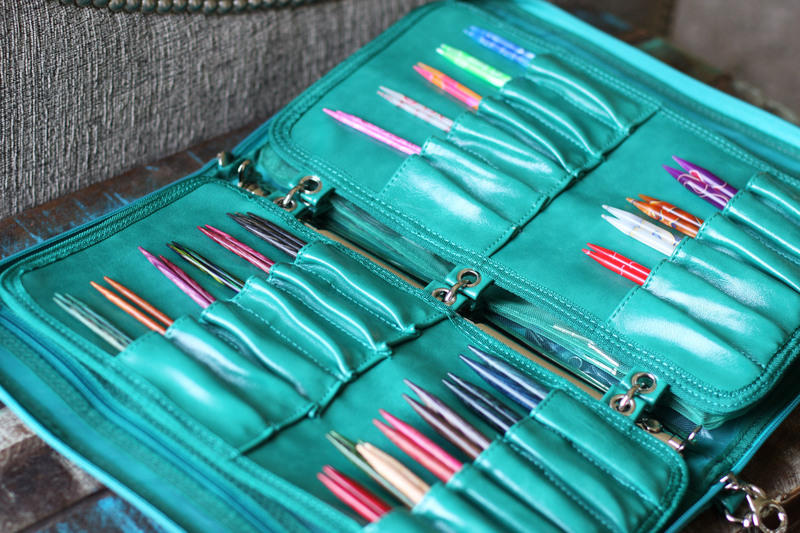 I purchased two pocket inserts that hold the Addi Clicks, Knitters Pride, Knitters Pride Trendz Acrylic needles, and the Knitters Pride Double pointed needles. I also purchased the mesh pocket insert for the cords, and notions. 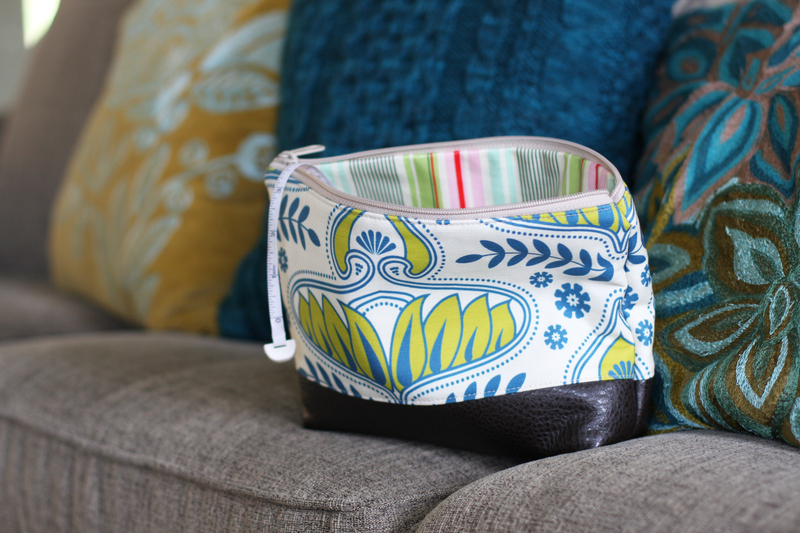 The binder itself also has perfect zippered pockets for patterns & extras! [gallery type="rectangular" link="file" ids="6835,6834,6833"] I actually just open it up and turn the pages for fun sometimes. 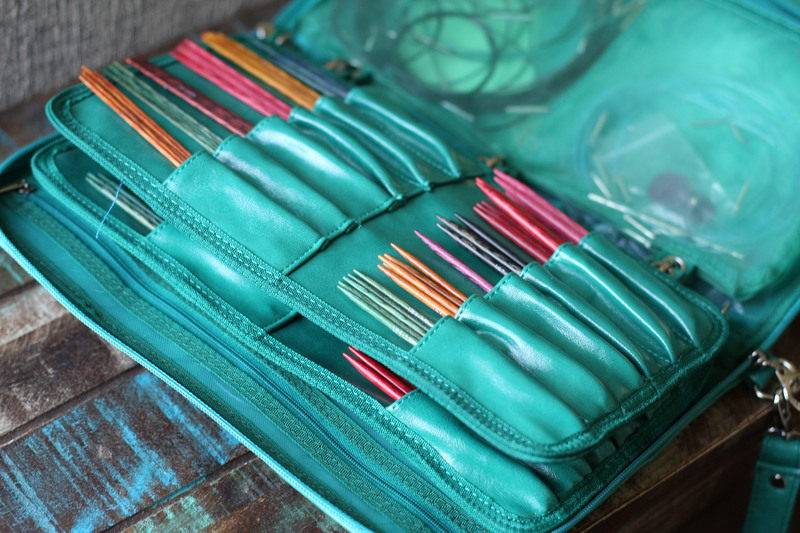 When paired with this little knitting tool bag I am a picture of organization (and a lot of you know, thats a feat.) Why so many needles? Well, beside the obvious too many projects going at the same time, depending on my project my needle choice alters. I have also found that my Knitters Pride can be easily snapped. I leave my knitting on the couch, or floor and sometimes they are broken. With three wild men, I should know better, but I have also stepped right on one or two and heard the sickening snap. I do love the sharp tip on the wood needles and this keeps me going back for more. Addis are pretty much indestructible and are good for me when my gauge is tight. The Trendz Acrylics are new to me, look so fun, but honestly I find them a little on the light side, but I have not used them enough to give them a fair assessment. How about you? What are your favorite needles? Those photos made me drool a little…that looks like the binder of my dreams. I’m a serial organizer. Everything I own is organized, and even then it’s micro-organized in whatever is organizing whatever it may be. 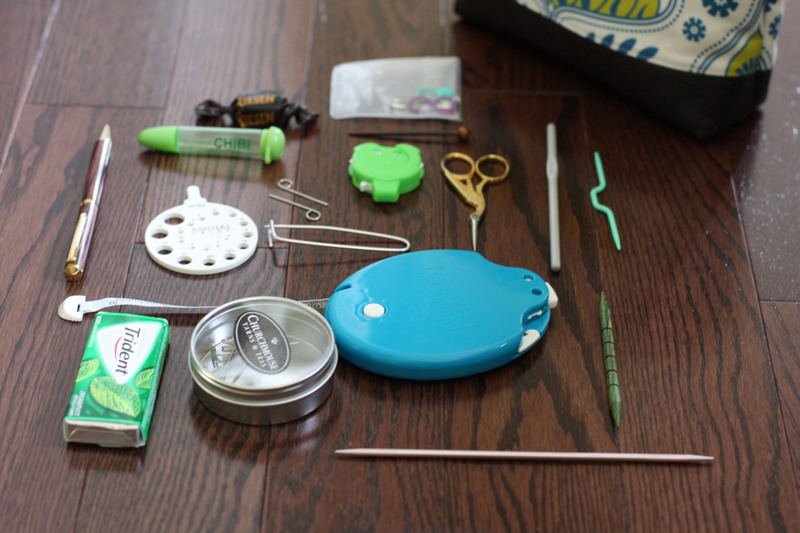 I’ve been looking for something for all of my needles, right now they’re in Hefty Freezer bags organized by size so I can see what is in there, and of course inside those freezer bags are smaller bags holding each set of needles, along with bags that have the circ’s together by length. 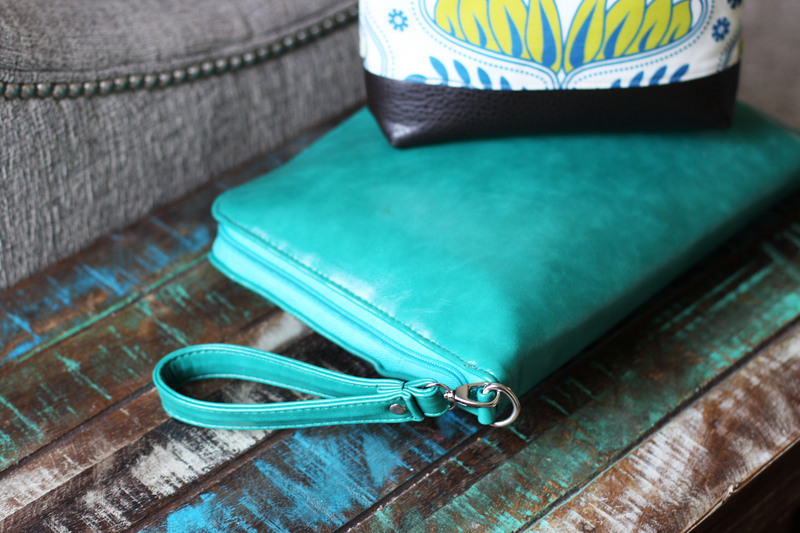 Hopefully Santa will bring me one of these awesome organizers….just as soon as I email him the link! I really like the Knitter’s Pride Dreamz. I have heard that awful snap more than once!